Berlin’s Internationale Funkausstellung (IFA) is one of the world's leading trade shows for consumer electronics, home appliances and digital lifestyle products. This year's edition of IFA welcomed over 1,800 exhibitors and 250,000 visitors, which included key retailers, buyers and experts from the industry and the media, as well as members of the general public. 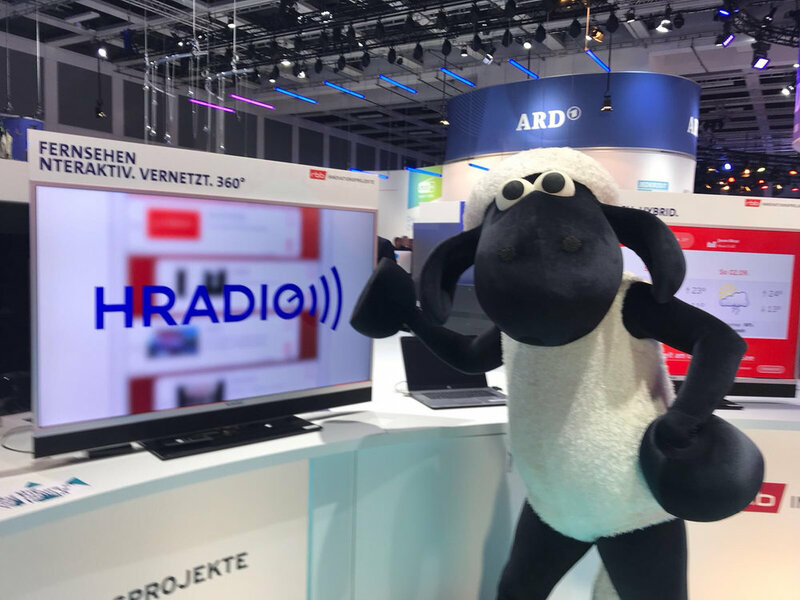 As part of the ARD’s “Digitale Welt”(‘Digital World’) presentation, RBB demonstrated the latest results from the HRadio project to an engaged audience. These results included live demos of the concept of personalised hybrid radio services. Using this first clickable mock-ups, we will evaluate and further refine the concept. We also acquired numbers of enthusiastic consumers that are keen to participate in upcoming user testing.